Washington (AFP) - The US Air Force test-launched an unarmed intercontinental ballistic missile from California early Wednesday, the military said. Air Force Global Strike Command spokesman Joe Thomas told AFP from California that the test was routine and not meant to be a show of force in the standoff with North Korea over its nuclear and ballistic missile program. The Minuteman III missile blasted off from Vandenberg Air Force Base at 0702 GMT, the strike command said in a statement. The missile traveled some 4,200 miles (6,700 km) and went down near a Pacific Ocean atoll that is part of the Marshall Islands and features a US military ballistic missile test site. The Minuteman III, capable of being fitted with a nuclear warhead, is tested like this about four times a year, said Linda Frost, also a spokeswoman for the strike command. Air forces photos of the launch show bright, roaring flames at the moment of liftoff, then a pale, slender, orange trail against the night sky as the missile arced over the ocean. "These test launches verify the accuracy and reliability of the ICBM weapon system, providing valuable data to ensure a continued safe, secure and effective nuclear deterrent," the strike command said in a statement. 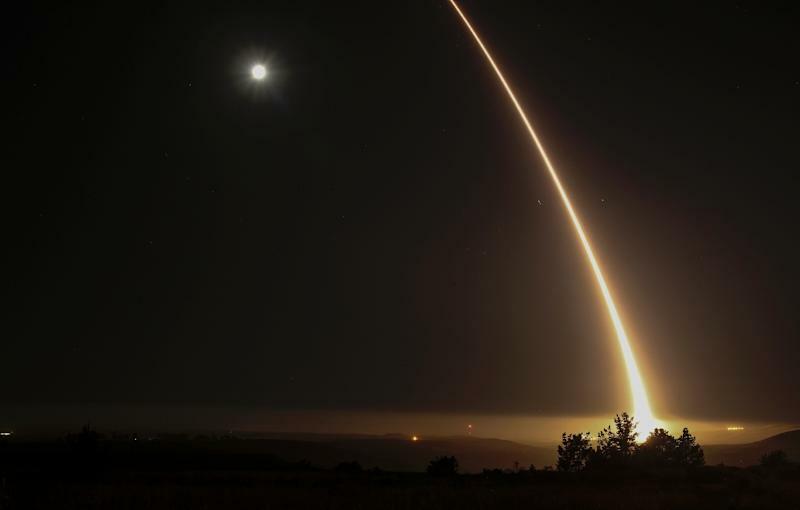 "The ICBM test launch program demonstrates the operational capability of the Minuteman III and ensures the United States’ ability to maintain a strong, credible nuclear deterrent as a key element of US national security and the security of US allies and partners," it added.